Watch the video for a demonstration on how to make this decadent baobab raspberry cream that showcases the fruity baobab versatility to perfection. 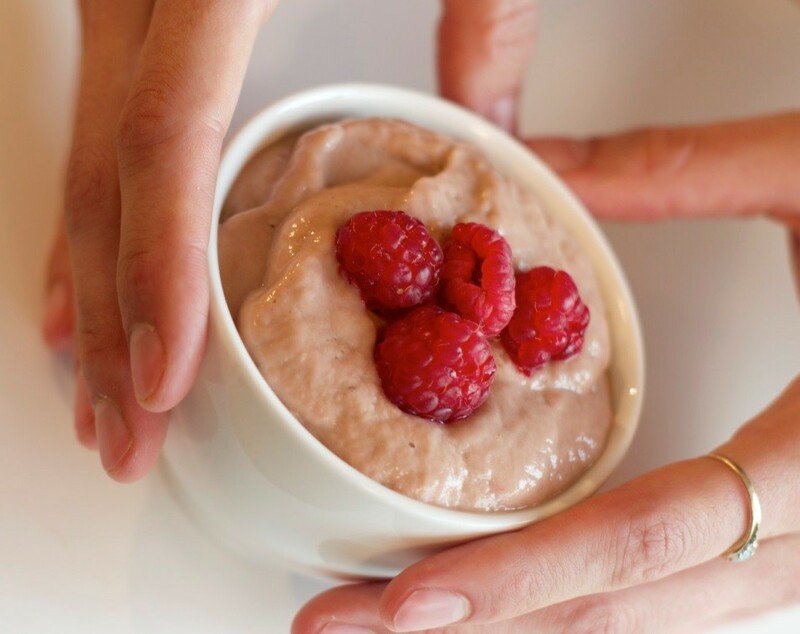 Nothing says summer quite like this rich and creamy dessert recipe, crammed with juicy raspberries and a generous serving of organic baobab powder for good measure! Organic baobab powder is an exceptionally nutrient-dense extract made from the fruit of the baobab tree – one of the largest trees in the world that’s native to the African island of Madagascar, where some are believed to be more than five thousand years old. Also known as the ‘boab’, ‘boaboa’, ‘tabaldi’, ‘bottle tree’, ‘upside down tree’ and ‘monkey bread tree’ (it’s a favourite with baboons), the baobab tree is used for a variety of different purposes. Its fruit for example, is used to make small musical instruments, whilst both its bark and fruit are used to prepare jam, butter and a range of cosmetic products, including facial creams, soaps, skin oils, skin lotions and shampoos. And during the rainy season the trunk of the baobab collects a significant amount of water (up to 120,000 litres), which locals gratefully tap in the dry season. The baobab fruit, which is similar in size to a coconut, boasts a velvety smooth skin and possess a unique flavour with grapefruit, pear and vanilla notes. Made from this delicious fruit, organic baobab powder is dried and processed at low temperatures leaving it brimming with valuable nutrients, including fibre, vitamins A, B1, B2, B3, B6 and C, and the minerals, calcium, potassium, magnesium, iron, manganese, phosphorus, zinc and molybdenum. This is a great recipe to whip up in a hurry, if a delicious dessert is required! Firstly, prepare your avocado and put into your blender. Add to it, the almond milk, banana, raw honey, the baobab powder and finally the raspberries. (Leave a few raspberries to decorate at the end). Decorate the dish with a the remaining raspberries.